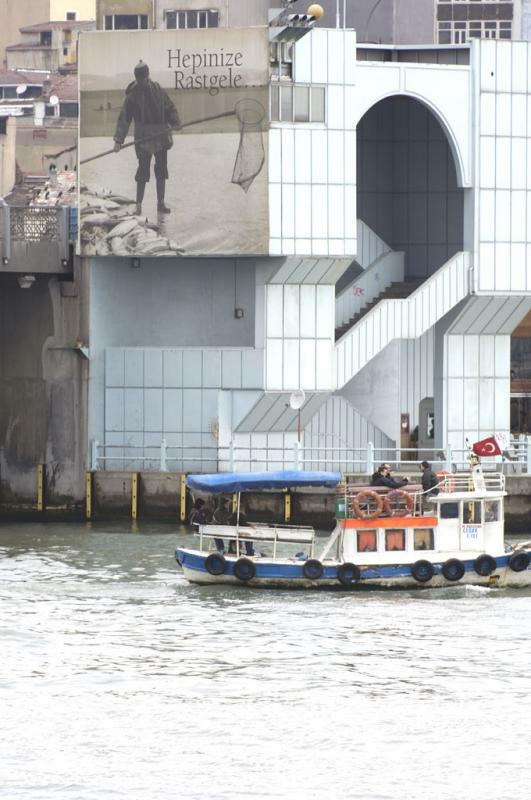 This is the (then) new Galata Bridge, spanning the Golden Horn on the place where there used to be a floating bridge. In 2005 a "tramvay" (tram or streetcar) started running, all the way from Zeytinburnu to Fındıklı. This means you can now start in the suburbs of the southern part, pass through all of the old city in the south, cross the bridge and be pretty far into the northern part before getting off. I was informed "hepinize rastgele" means "have luck all" (a term used by the fishermen to have many fishes as possible, wishing luck to his friends). Thanks for that contribution.